We provide a hands-on learning experience that prepares you for a future with greater job opportunities and earning potential. Our Finance, Management and Marketing departments and our School of Accountancy offer you a number of degree options and specializations so you can focus on what interests you most. 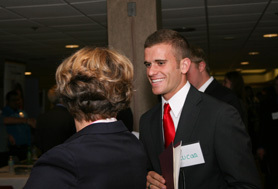 Our AACSB-accredited School of Accountancy offers exceptional service to its students. We also boast a 95% placement rate for our graduates. The Finance Department has been recognized as a top program nationally for years. Students in finance are able to take advantage of our world-class trading room facility. 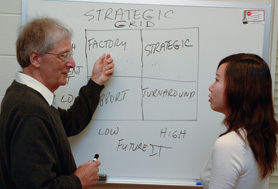 The Management Department offers students a wide variety of specializations. From Healthcare Management, to Management Information Systems to Entrepreneurship, there is something to satisfy any interest. 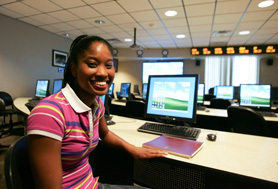 The Marketing Department focuses on giving students a hands-on experience. Projects working with real-world clients offer students the opportunity to gain experience and build their resume early in their program.